Breakfast is one of my favorite meals to enjoy any time of day! 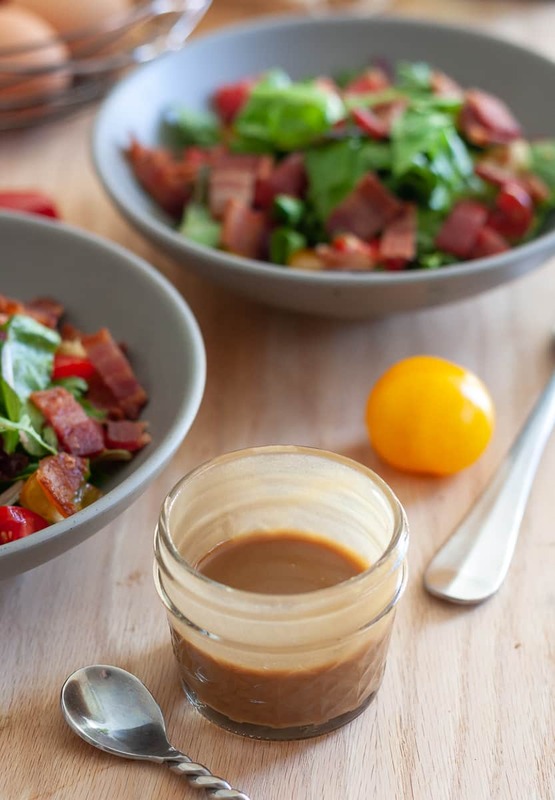 And coming up with creative breakfast ideas – like this breakfast salad recipe – is so much fun. 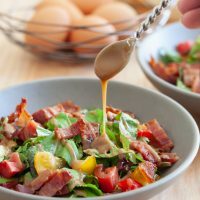 When I need to work through a surplus of greens or just get some more vegetables in our diet, this breakfast salad is first on the menu! Between a mid-week grocery stop and our CSA box, we found ourselves with an abundance of salad mix. I love vegetables, but this was a lot. Combine the surplus with a stretch of evenings far too chilly for salad, and I had to figure out how to use all those greens without the monotony of grilled chicken salad for lunch ever day! I have to have variety! But I’m also entirely too lazy to make an extra grocery trip for ingredients I don’t have. And I was missing a few ingredients to make a Cobb salad. But I had eggs, bacon, maple syrup, and some inspiration from Nigella’s site. So it all worked out. The salad (especially the dressing) was SO good! Not only did I have it for lunch, I made it for our breakfast that very same weekend. That’s how this ended up on the blog, as it wasn’t originally intended to be a blog post… but if I don’t blog it, I might lose the recipe, and that would be very sad. If you don’t want to poach the eggs, make them sunny side up. A soft boiled egg scooped out of the shell works beautifully too. It’s also less fussy to make soft boiled eggs, especially if you’re making salad for more than 2-3 people. 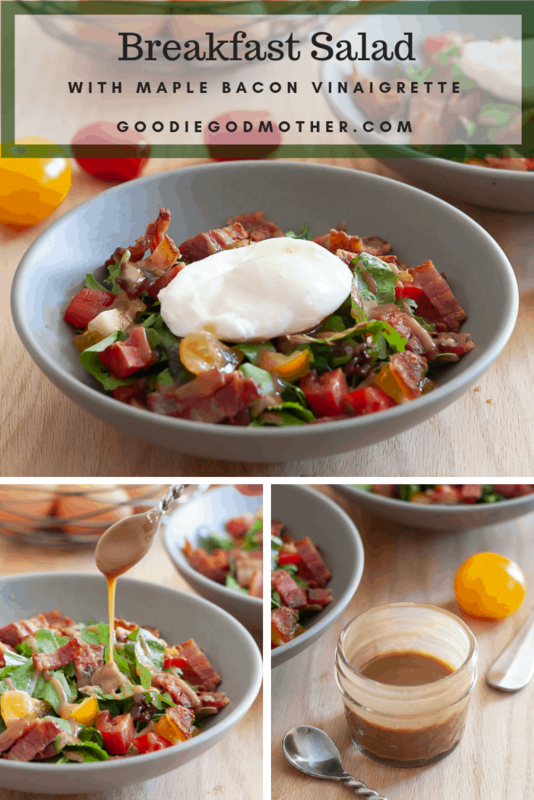 I hope you love this breakfast salad recipe! Of course, we’ve had it for breakfast, but it’s also been on the menu for lunch and dinner. As with any salad, feel free to add or omit ingredients that you like. I do it all the time based on what I have on hand. The only way you’ll enjoy eating your greens is if you get creative. Enjoy, darlings! 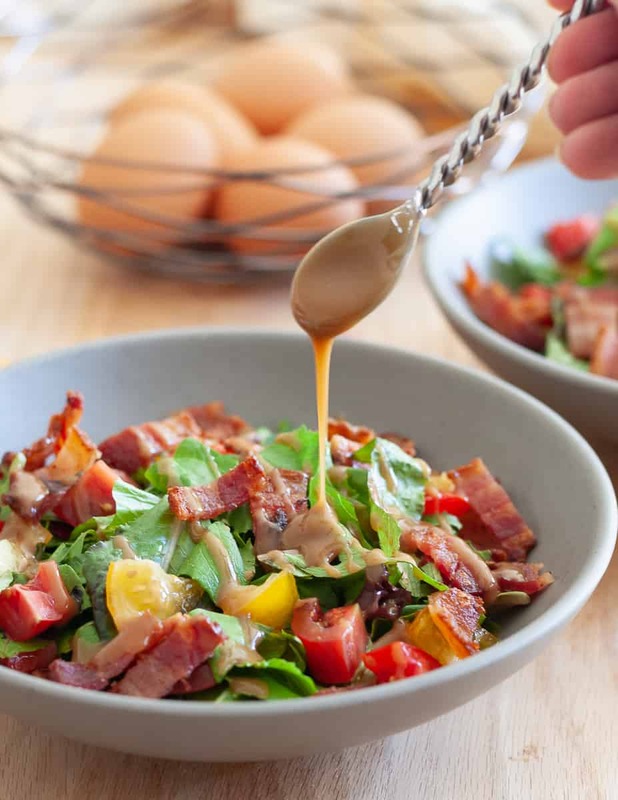 While the bacon is cooking, whisk mustard, maple syrup, oil, vinegar and salt (if needed) in a small bowl to make the dressing. Adjust ingredients to taste. Cook the eggs using your preferred method. I recommend poached or soft boiled, followed by sunny side up or easy over. Divide the lettuce and tomato between two plates and drizzle or toss with dressing. Top with one egg each and the crumbled bacon. Serve immediately. A more recent note: Lately, we've liked to serve this for dinner with some grilled chicken and avocado added in addition to the egg. It's very good, so feel free to make this your own and comment with what you've tried and loved! 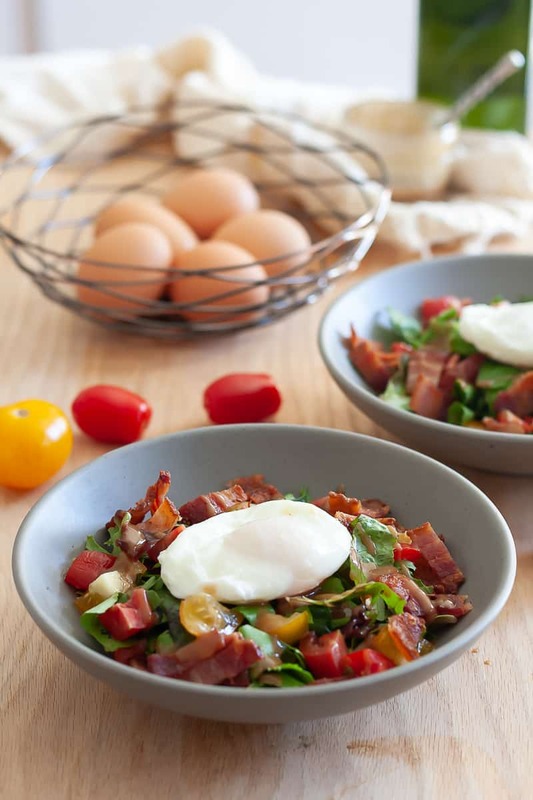 A collection of delicious low carb breakfast ideas for you to try! 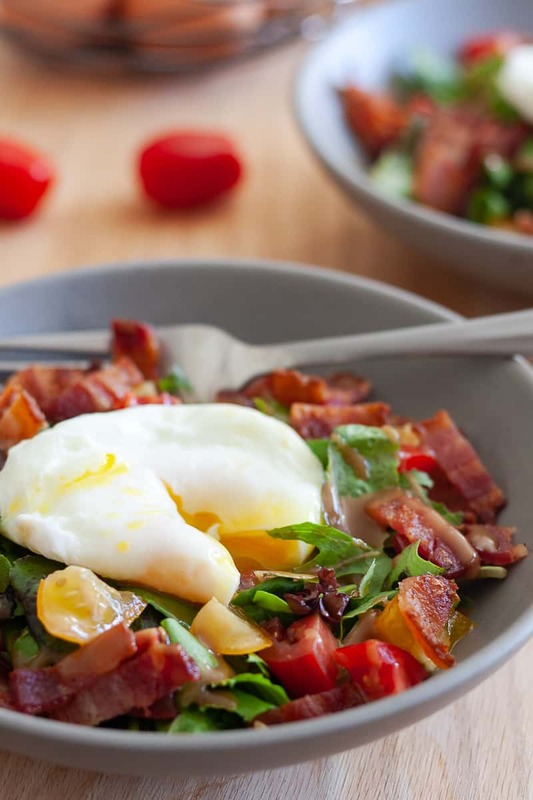 Give the traditional breakfast skillet a healthier makeover! Try this low carb paleo jicama breakfast skillet next time you’re in charge of brunch or want breakfast for dinner. Many years ago, I read about jicama on a low carb recipe makeover board. When I spied it in the grocery store, I picked one up and used it as a substitute for potatoes for breakfast one morning. We loved it! Jicama isn’t an identical substitute for potatoes, it is slightly sweeter, but the flavor and texture are close enough that we enjoy it. 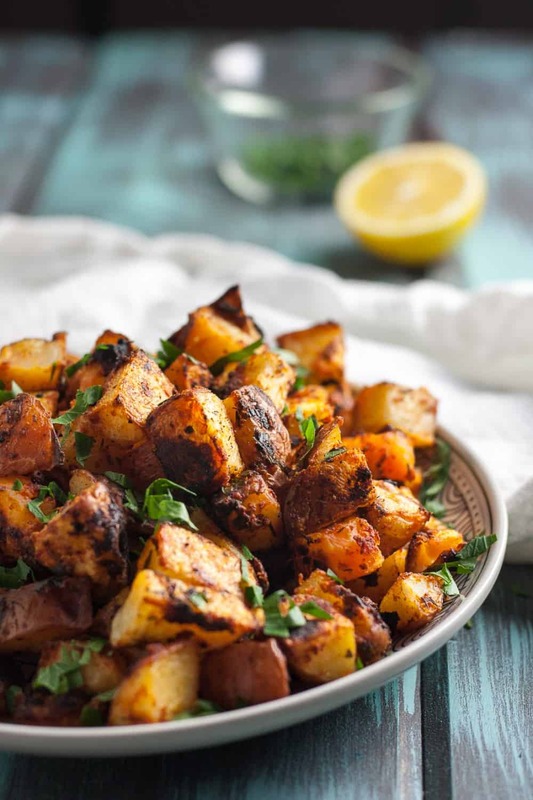 At only 49 calories per cup and 6 grams of fiber though, jicama is a great substitute for white potatoes! 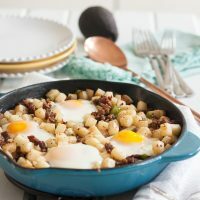 One of our current favorite recipes is this jicama breakfast skillet. 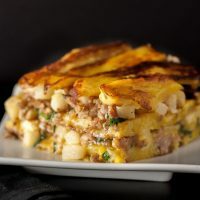 You may be asking, “What in the world is a pastelon?” It’s a Puerto Rican dish that’s similar to a lasagna, only the noodles are thinly sliced maduros (fried sweet plantains). Classic versions include cheese, but with all the other amazing flavors in this dish, you don’t need it here. 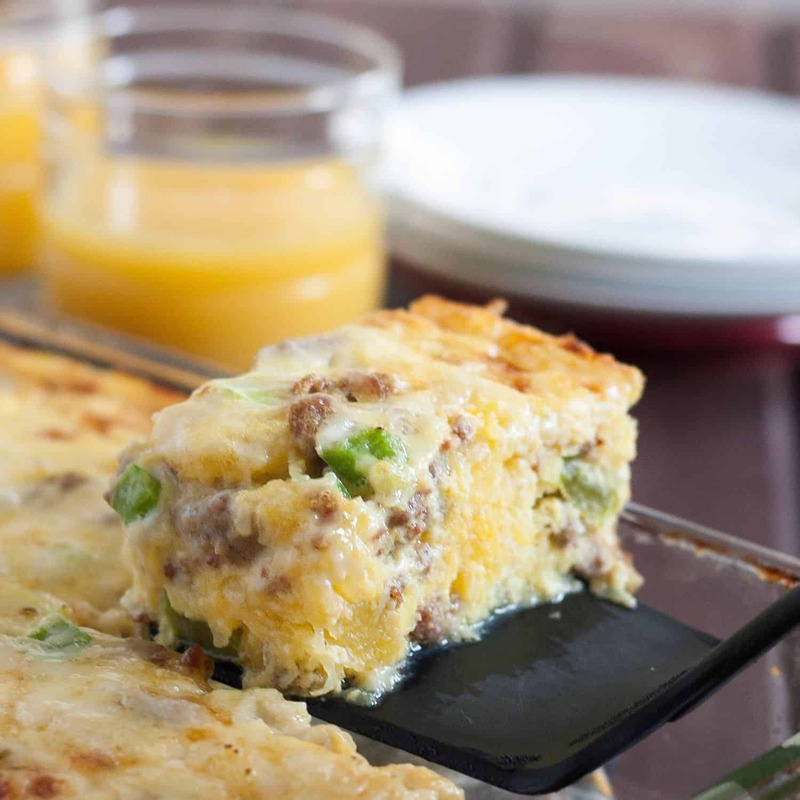 This paleo pastelon is not only the ultimate statement brunch entree, it’s a party in your mouth. 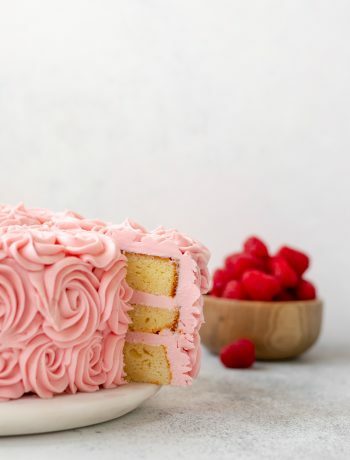 It’s salty and sweet, with great texture, and no one will ever guess it fits beautifully into a clean eating diet. 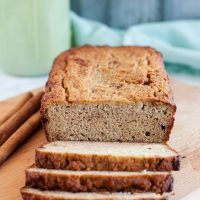 Gluten free and refined sugar free, this paleo banana bread still feels indulgent. With a great texture, it’s a tasty breakfast treat or snack. I keep one and a half lists of recipe ideas at any given time. One and a half at the moment, but I’m slowly merging the two for simplicity’s sake. “Merging” the lists mainly means that I’m working through what’s left on one so I can go paperless for my recipe idea tracking. One of the items on my little paper list though, is a good gluten free banana bread. The more I thought about it though, the more I decided I had to make a paleo banana bread and not just a gluten free banana bread. First of all, I make some really good paleo baked goods, and second because why not? In my opinion, natural sweeteners make for a better banana bread anyway. 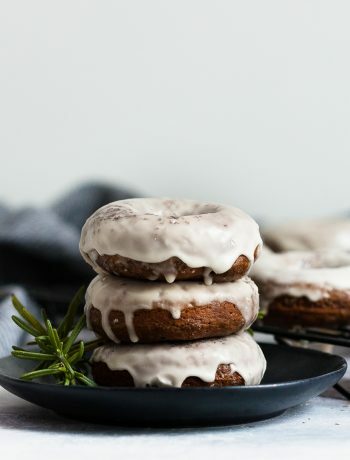 Need to balance your dessert enthusiasm with something a little healthier? Me too. Today’s recipe is for you, and me, because I think I’m making it again this weekend. We’re a little obsessed, and this spaghetti squash casserole breakfast bake thing got rave reviews from all members of the household. Seriously though, I’ve never had another dish where I feel like I’m having a rich hash brown casserole and yet, there is not one potato in sight. Paleo and Whole30 people, this is for you too. 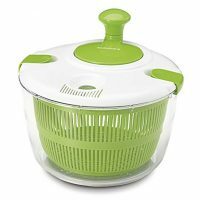 Oh, and it reheats beautifully so you can make it Sunday and have an easy and healthy grab-n-go breakfast during the week.